Do you want to become a coach, or do you want to become a master coach? The master coaching course is for people who want to be one of the elite international coaches in your field. What if you could quit that job that you don’t like? What if you could live your passion and be financially free? What is the most important thing that you just have to achieve to fulfil your life purpose? This course will elevate your skill set to be capable of dealing with a wide array of clients and situations. You will be able to coach across multiple niches, having various modalities and skills at your disposal. From clients in life coaching, business coaching, education, therapeutic and more. The master coach training goes much deeper and includes much more than other run of the mill coaching courses on the market today. • Here you will learn how to become a true transformational coach. • You will learn how values and value level thinking impacts on the clients life. • Learn how to help your clients to really get in touch with things that are unconsciously holding them back. • You will be able to help your clients create change at the deepest levels and be able to positively transform and create the life they want. • You will learn how to elicit personality types so that you can know more about your client than they know about themselves. Learn how to help clients change certain personality types and traits that might not be serving them. • You will learn how to model excellence and be able to install it in yourself. Meaning you will learn how to create the same types of results as the person you model. • You will learn how to conduct personal breakthrough sessions with your clients to get fast, lasting results. The master coaching course includes the following to really prepare you to become a true master coach. • Plus the online version of the practitioner training. Includes 83 Videos/ demos and resources. 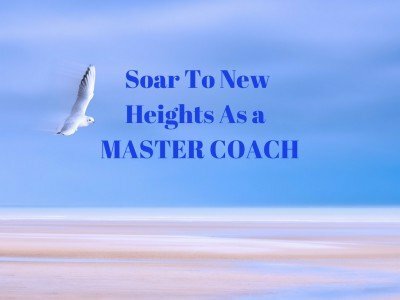 How long is the Master Coach Training? The master coach program is delivered over 22 days live face to face training. Some people choose to do the entire 22 day master coaching program back to back. You can also do the course in more manageable sections if you prefer. The additional online resources and courses can be done in the comfort of your own home and at your own pace. What certification is included in the master coach training? as well as Body Language and Micro Expressions certification. All of these courses make up the The GOLD Package. You can find out more on the individual country course pages. Simply click on the courses tab at the top of the page and select the country and city that works best for you. If you are ready to become a master coach, then contact us today to get more information and apply. Join the other elite international coaches that have already gone through this program.